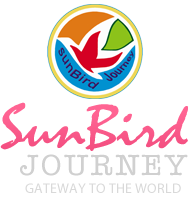 One of the eminent names in the tourism and hospitality industry of Kolkata, West Bengal, we are SunBird Journey. Incepted in the year 2014, we have gained immense recognition owing to our impeccable service quality and reasonable rates. We can be contacted for Tour Operators, Airline Ticketing Services, Cruise Services, Car & Coach Rental Services, Tourist Guide Services, Hotel Booking Services, Passport & Visa Services, Travel Insurance Services, Domestic Tours, and International Tours and we promise to make your tours more comfortable and convenient. Travelling is made easy by SunBird Journey. Operational from Kolkata, West Bengal, we are known to offer excellent assistance and solutions for all your travel needs. Our team of expert organizers and planners have strategically designed packages for Adventure Tours, Beach Island Tours, Pilgrimage /religious Tours, Heritage & Culture Tours, Wildlife Tours, Cruise Holiday Tours, Golden Triangle Tours, Honeymoons, Hill Station Tours, and Yoga & Ayurveda Tours for all over the world, especially India, Thailand, Singapore, Indonesia, Malaysia, Dubai, Sri Lanka, and Bhutan. We also offer itineraries for exceptional Student Excursion and Day-Long Picnics. Get in touch with us and know more about all our standard services and packages or allow us to customize something for you, according to your interests, dates and budget!